Leave it to the “World’s Richest Billfish Tournament” to offer up a little flare for the dramatic. 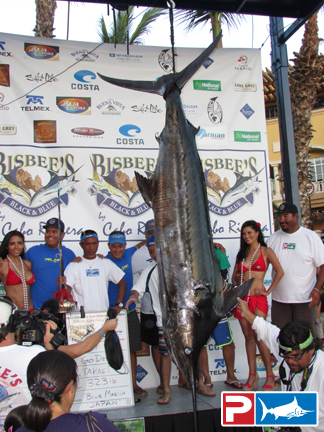 Like clockwork, the 33rd edition of the Bisbee’s Black & Blue Marlin Tournament came down to the last minute – literally. The last fish on the last day turned out to be the biggest of the three-day event, and left spectators in awe. 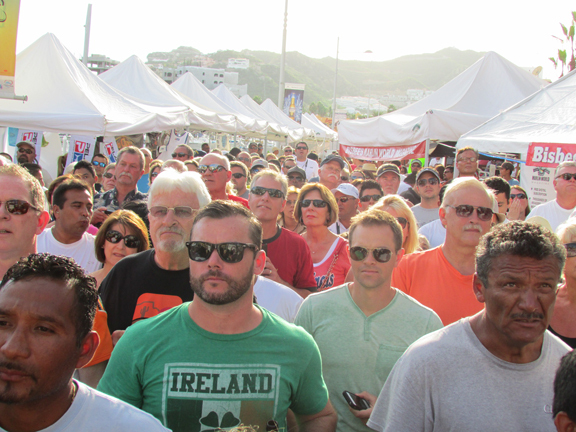 Below: Teams anxiously await the traditional "shotgun start" on the first morning of the 2013 Bisbee's Black & Blue Marlin Tournament. When Linda Williams’ fish – caught aboard her 60’ Hatteras II Success – was hoisted at the scales, the large crowd of thousands erupted as the weight was revealed of 774-pounds. 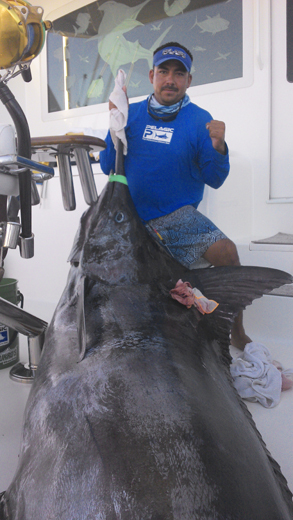 This great fish – a blue marlin – was nearly 250-pounds larger than the second place fish and the largest ever weighed by a lady angler in the Black & Blue. Team II Success earned a payout of $368,675 for their first overall finish. Below: It was a chaotic scene as II Success weighed in their monster blue marlin on the final eve of the tournament. 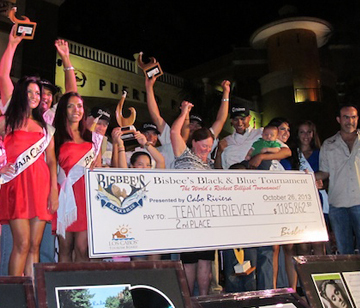 Known for handing out hefty paychecks, this year’s Bisbee big-money winner was Martha McNabb and her team aboard Retriever. Her 525-pound blue marlin – weighed-in on day two – was worth a whopping $1,185,862, accumulated by taking second place overall and two daily jackpots (as no qualifying fish were weighed on day one of the tournament). Below: Team Retriever scored big on day two with their 525-pound blue marlin. Capturing the only qualifying black marlin of the week and a third place overall finish was Team Sooner Reelin’. 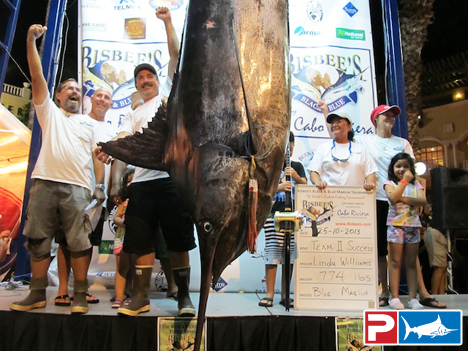 The team from Oklahoma took home $34,762 for their 342-pound billfish. 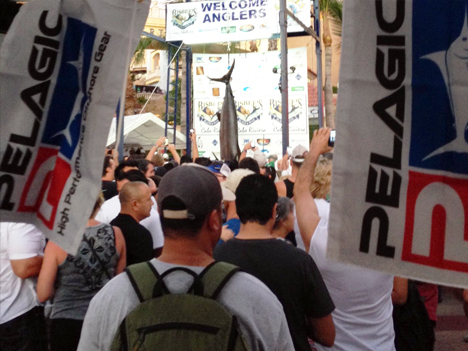 GO DEEP hosted one of five Japanese teams to compete in the tournament, and Pelagic Pro Team Captain Luis Abaroa led them to a fourth place overall finish and $9,270 in cash prizes for their 323-pound blue marlin. Optional daily jackpots are the name of the game if you want to win big in the “Super Bowl of Sport Fishing”. The team aboard Sea Angel did just that by betting across the board in all jackpot categories and landing a qualifying fish – a 313-pound blue marlin – earning them a fifth place finish and a monster $966,680 payout. Below: Large crowds are the norm as word spreads that a fish is coming into the scales // Team GO DEEP weighs their qualifying 323-pound blue marlin. Titan, the first sailboat to ever compete in the tournament, won first place in the release division by successfully documenting the release of three blue marlin. They were awarded with a modest $63,537 for their efforts. 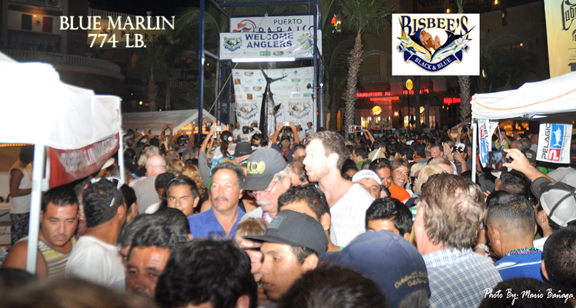 Below: This sums the Bisbee's Black & Blue up perfectly - big fish, large crowds, and massive paychecks! 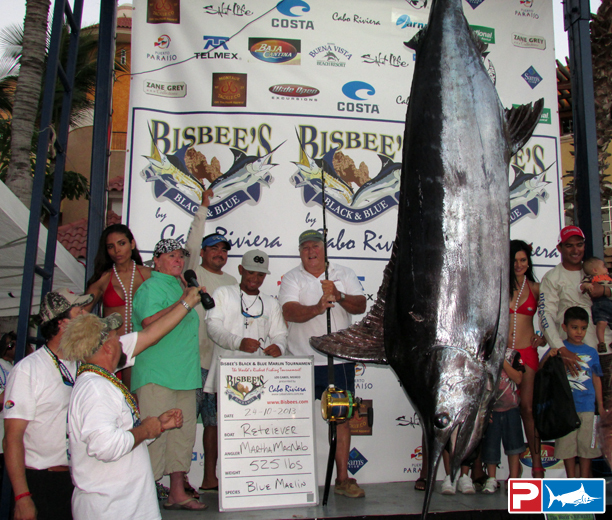 As the 2013 Bisbee’s Baja Tournament Series is laid to rest, we look forward to seeing what next October has in store during the 34th Bisbee’s Black & Blue.